Three races 5, 10 and 28 km on the sand, along the coast! The runners will be following a route next to the sea, enjoying a unique sense of freedom and being in touch with nature. The sandy beach, the waves, the riparian forest as well as the estuary of Nestos River all compose the ideal conditions for a unique and exhilarating race! 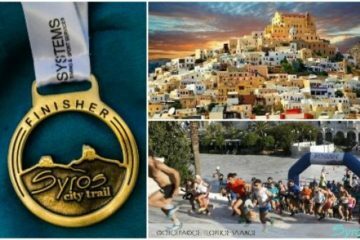 The 6th WAVE running race from Keramoti – Avdera to is to take place on July 27, 2019, under the auspices of UNESCO and the Greek National Tourism Organisation (GNTO). 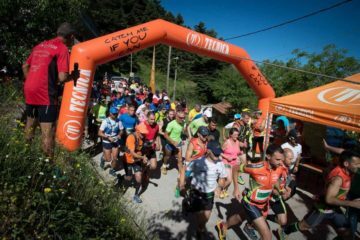 The WAVE running contest consists of three races 5km, 10km and 28km, which are conducted on the sand, along the coast, giving the athletes the opportunity to race while enjoying the sea breeze of the Thracian Sea. Following the end of the races, participants will be provided with ice cold beer, an individual meal and some cold watermelon. Afterwards, runners, their escorts and volunteers will be able to enjoy a post-race beach party, featuring afro – tropical music. 13/10/2019 More details will be announced soon!